If you are looking for the perfect after work, summer roof terrace bar in the heart of Canary Wharf, then look no further than that of ROKA. Start the night at the restaurant where you'll be served some of the best contemporary Japanese robatayaki cuisine in London, then head up to the Japanese garden inspired roof terrace and sample 3 fantastic cocktails mixed using Suntory Chita single grain whisky. Officially launching to the public on 9th June, guests will be transported to a Japanese garden adorned with hanging installations. The terrace will also celebrate the launch of The Chita Single Grain Whisky. 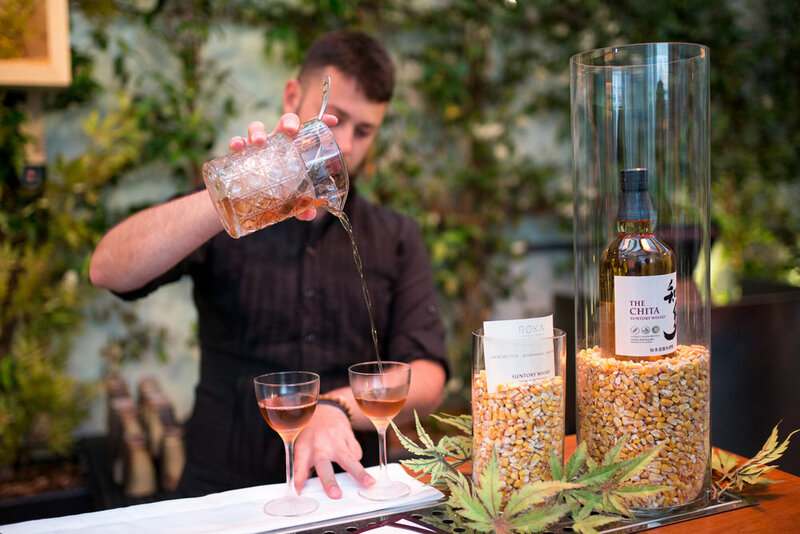 With Chita’s official launch in the UK set for July, the ROKA Canary Wharf terrace which opened this June has an exclusive opportunity for guests to experience the smooth notes of this unique single grain whisky ahead of anyone else. 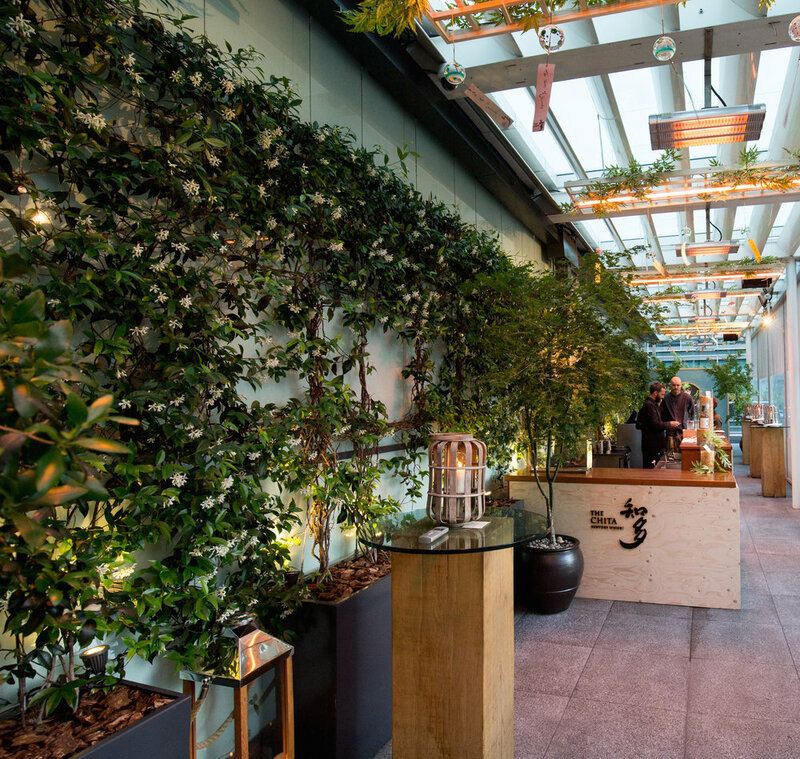 Emulating a sense of calm and tranquillity similar to that of the Chita Peninsula, the terrace at ROKA Canary Wharf is the perfect location to showcase Chita, a whisky which embodies the serenity of Japanese Whisky. The terrace will feature a menu of three bespoke Chita cocktails, perfectly refreshing for the summer months. The pop-up terrace will open daily from 12pm – 12am Monday to Friday and 6pm – 12pm Saturdays. Bar food will be available throughout the pop-up from ROKA’s esteemed kitchen, served from 12pm-3pm and 5:30pm -11pm Monday – Friday and 6pm – 11pm on Saturdays. The terrace will close on 5th September.